Spokeo? I say Spookeo. My sister saw a bunch of chatter on Facebook about this site verging on “invasion of privacy”. Maybe, maybe not. But the info they have compiled on YOU is pretty astonishing… and sometimes astonishingly funny. I was interested to see that they knew the names and approximate ages of a friend’s husband and daughter (but no mention of her son), and yet they pegged her as Asian (she’s not). Nevertheless, this site may grow into a force to be reckoned with. Click on any of the images below and these companies will give you an estimate for the electronic item you have to sell. Gazelle seems to offer the widest range of products, but shop between sites for the best estimates. Accepted items include cell phones, video gaming systems, video games and movies (and THOSE can add up quickly! ), digital cameras, MP3 players, camcorders, desktop computers, camera lenses, home audio components….. the list is HUGE. They either resell or strip them for parts. Not only will you get cash for closet hogs and dust collectors, but these companies refurbish and resell the products, keeping them out of landfills, where they leak lead, cadmium and mercury into our environment and ultimately our drinking water. YEAH for us!! For future reference, this post will be linked under “Sell Used Electronics” in the Information section to the right. The Environmental Working Group has gathered the latest research and is updating the “Dirty Dozen” and “Clean Fifteen” list of the fruits and vegetables that retain the most /least pesticides. Some have changed (celery has ROCKETED to #1! ), so please click on the picture below to download the file, print, and keep with you for your trips to the market. The Dirty Dozen should, at every opportunity, be organic. The “Clean Fifteen”, on the other hand, are much lower in residue and may not be worth the extra $$ to buy organically. You can lower your pesticide consumption by nearly four-fifths by avoiding the 12 most contaminated fruits and vegetables and instead eating the least contaminated produce, according to EWG calculations. When you eat the 12 most contaminated fruits and vegetables, you’ll be exposed to an average of 10 pesticides a day. When you choose fresh produce from the 15 least contaminated fruits and vegetables, you’ll consume fewer than 2 pesticides per day. If cost is an issue, this strategy is effective, for sure. • However, any time you buy organic produce you help reduce the global load of pesticides, so there are other reasons besides our direct consumption to buy the cleaner varieties, too. • From a nutrition standpoint, I’m not willing to give up most of the “Dirty Dozen”, as I eat 5 of them (strawberries, apples, blueberries, bell peppers and spinach) nearly every single day. So, I buy a good deal of organic produce, for both reasons above. 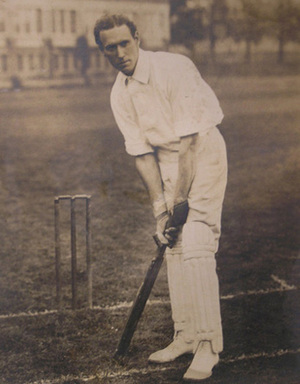 The first testicular guard was used in cricket in 1874. Batting helmets were not mandatory in baseball until 1971. It took 100 years for men to realize that their brains might also be important…. Great article but it didn’t have everyihtng-I didn’t find the kitchen sink! Rural England and Keep Britain Tidy are fully behind bringing in the 5p tax on all carrierbags. bags and taken ﻿them to﻿ the supermarkets.